You may not have heard of Polarn O. Pyret - I know I hadn't before they got in touch with me, but I've a feeling they are going to be the next big thing in kids clothes around these parts. 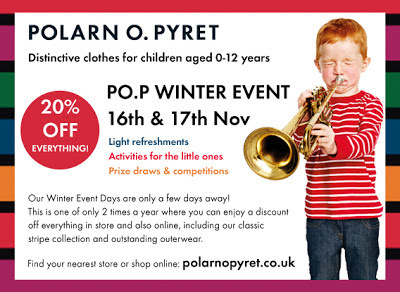 Polarn O. Pyret are a Swedish children's clothing brand (pronounced ‘Pole Arn Oh Pier Et’ in case you were wondering) with both shops and a growing webstore in the UK. One look at their website and I fell in love with them. 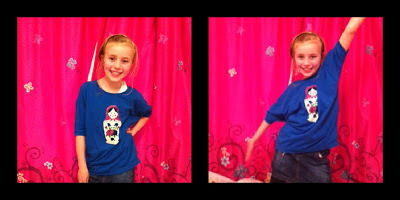 The ethos behind all their clothes is that children need clothes that they can play in - clothes that let them be children. Having seen most high street stores offering clothes for under 7's that make children look like 'mini-me's' - I am thrilled to find somewhere that seems to understand what I want. Polarn O. Pyret sent me a winter coat for the 6 year old, a baggy t-shirt for the 8 year old and a little snood for the 4 year old. 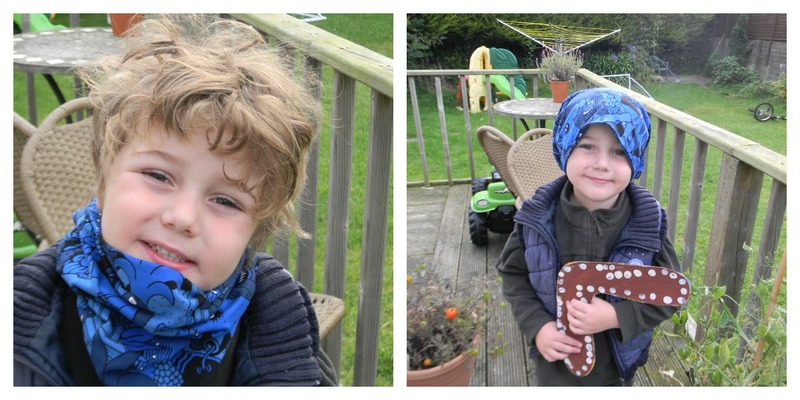 A new take on the snood! Best Winter coat on the market! 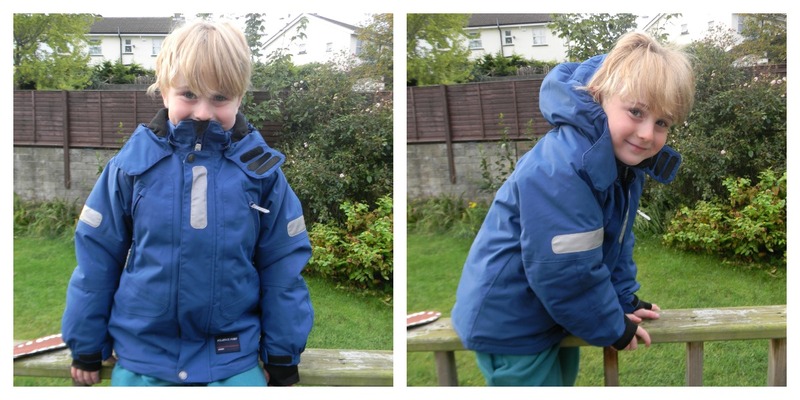 We've had the clothes for over a month now and they have seen lots of wear and washing so I can confidently stand by their claim to make 'Clothes that can withstand wear and tear and are handed down from brother to sister'. In fact the 8 year old has partially claimed her little brothers coat as it's so warm and comfortable - so they now do handed up clothes too! The coat is certainly the best made coat any of my kids has ever owned. 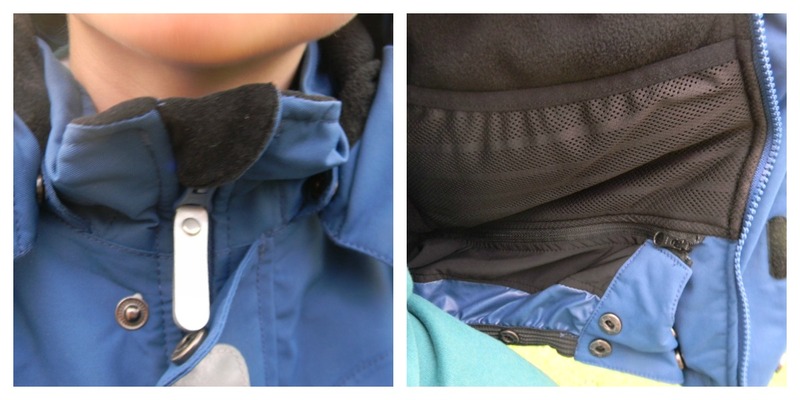 It has lots of little extras such as the built in hand warmers which they all just love, zip protectors, adjustable hem and cuffs to keep out rain and wind, inside pockets and a removable hood. All the pieces offered are bright and colourful and Polarn O. Pyret believe in producing unisex items. As they say on their website 'We aim to make the world’s best jacket, knee sock, t-shirt and sun hat. Who wears what – and what colours – is up to you'. The PO.P Winter Event is taking place 16th and 17th November. Light refreshments, activities for the littles ones and great prize draws and competitions in stores too! Disclosure: I was sent the items pictured here to review. All words and opinions are my own.